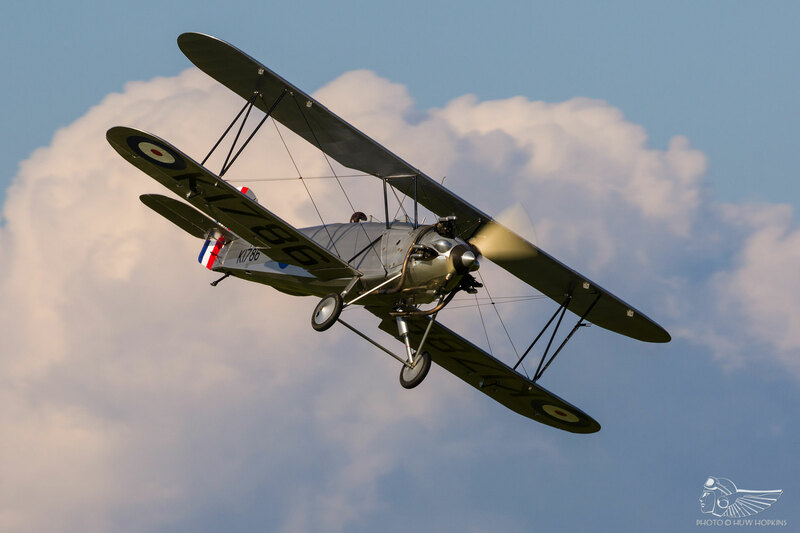 The Shuttleworth Collection’s Classic Evening Airshow on Saturday, 17 June 2017 was one of the finest air displays held at Old Warden in recent years. 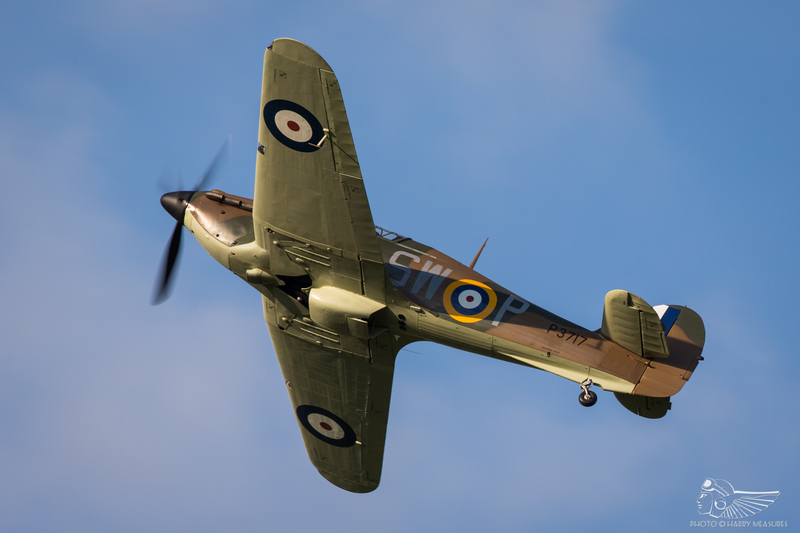 Seldom does an airshow have the opportunity to deliver such perfection. 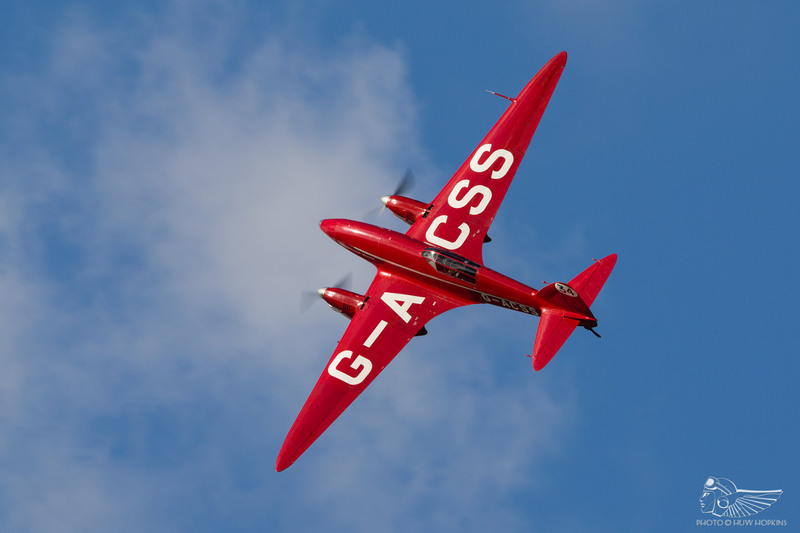 Clear blue skies and a diminishing, gentle breeze made for beautiful flying conditions that benefitted even the lightest aeroplanes on the schedule. Under this balmy vista a near four hour flying programme played out, commencing at 6pm with the pairing of de Havilland Comet and Percival Mew Gull (unfortunately blighted by the only cloud cover of the evening, which quickly dispersed by the time the second act was in the air) and culminating with the 107-year old Deperdussin hopping sedately in the twilight, shutting down just minutes before 10pm to conclude what many believe to be the latest running British airshow in history. 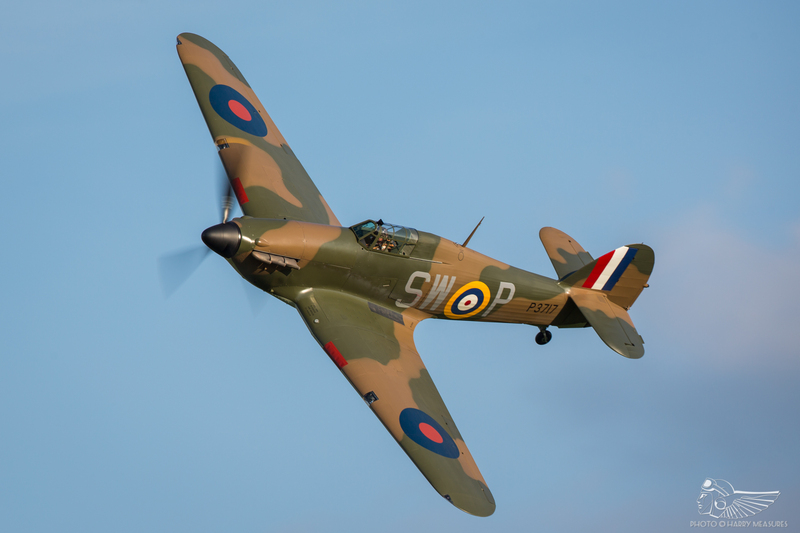 Clearly, the combination of a fine forecast and a solid flying programme helped to pull the crowds, the large turnout giving the event a buzzing atmosphere more akin to that of a major Shuttleworth Sunday event than an evening airshow.  That the sizeable audience turned out to see an air display comprised almost entirely of based aeroplanes suggests that, contrary to popular belief, you don’t necessarily need fast-jets or family-friendly civilian acts to draw a good gate. Early comers enjoyed several hours’ access to the aircraft paddock, which allowed a flight line walk of sorts for no additional fee. 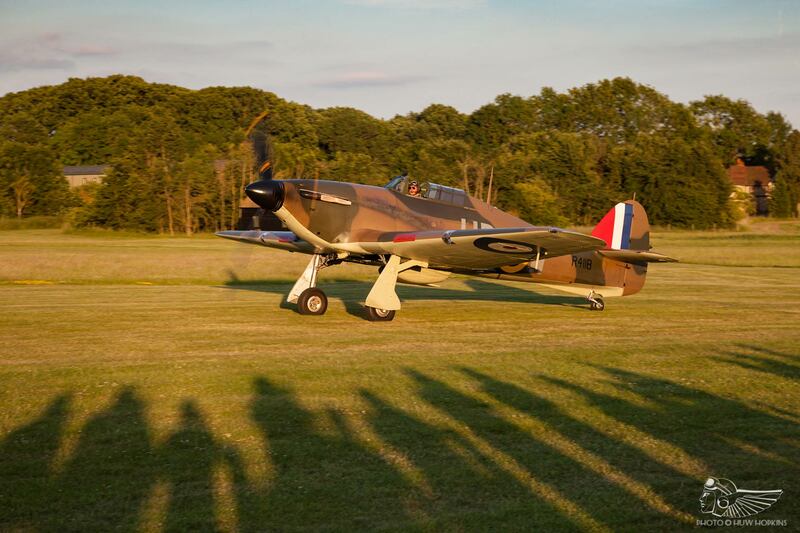 This “Shuttleworth Uncovered” concept has evolved over the years, and introducing it to the Evening Airshow format is an inspired touch for an event that already promises tremendous value for money. 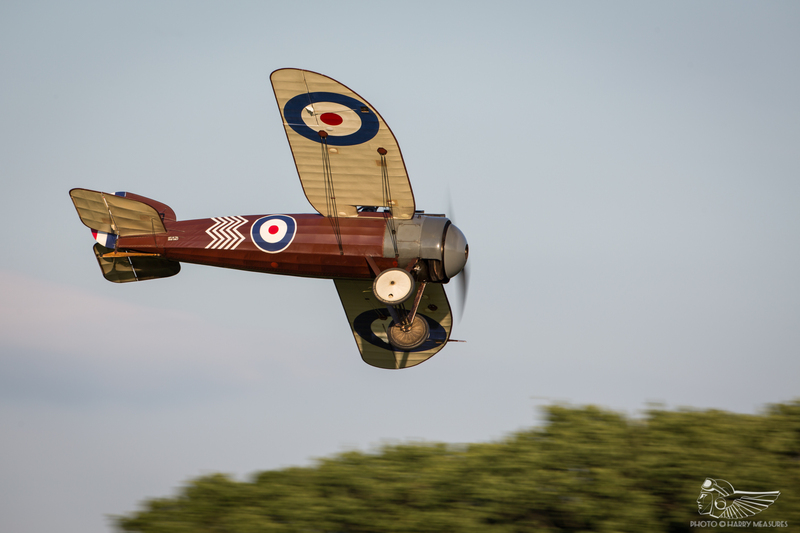 It all contributes to the perception that Old Warden strives to give its visitors the very best experience – there really isn’t anywhere else like it. 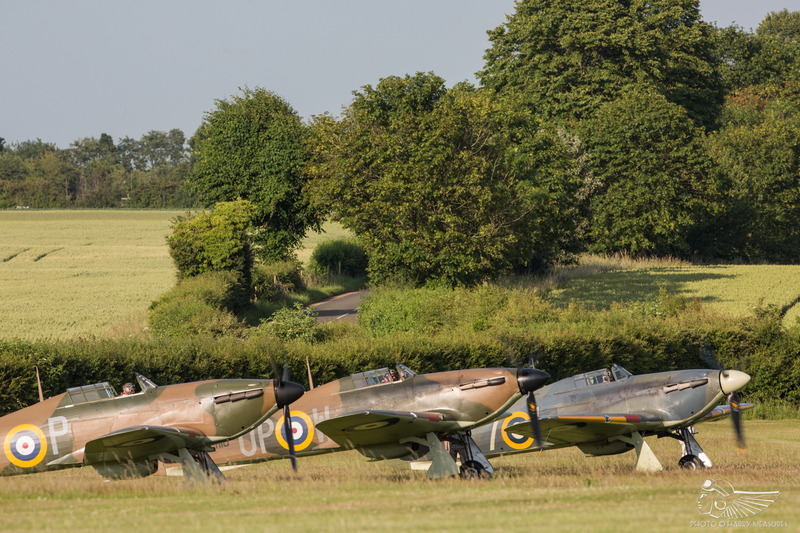 Arrive earlier in the day and there’s plenty of time to wander the hangars (there’s always something different to see), sit outside the excellent restaurant with friends, stroll through the Swiss Garden, take a vintage bus ride and enjoy the aircraft paddock. All that and more for just £18! 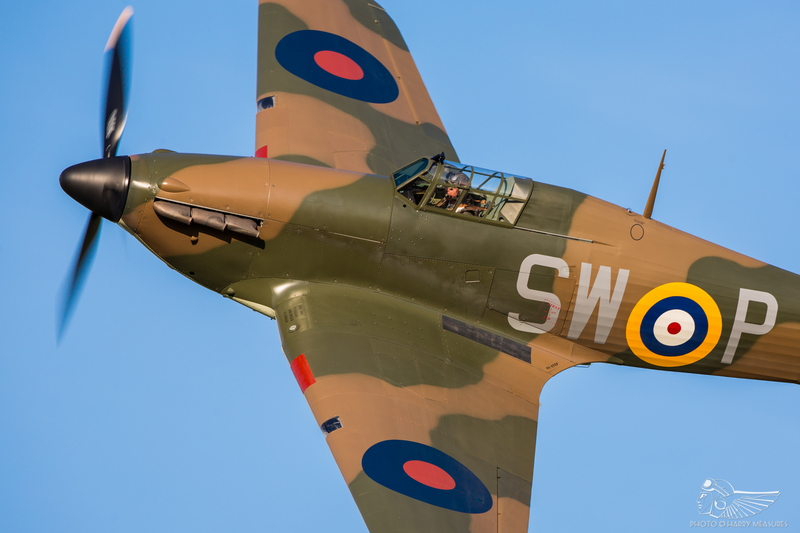 Many came to see the début of Hawker Hurricane Mk.II P3717, the exquisite restoration recently completed by Hawker Restorations Ltd and now operated under the Hurricane Heritage banner on behalf of its owner. 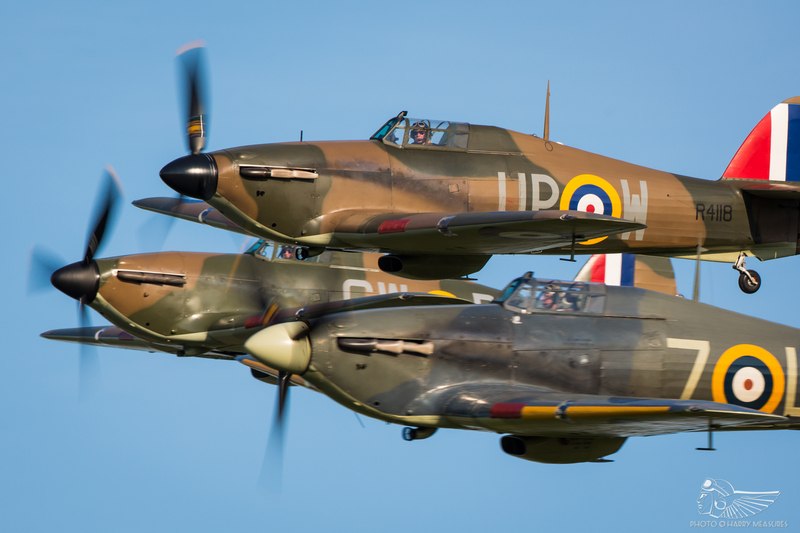 The aircraft’s arrival at Old Warden in spring 2017 marked the first time three Hurricanes had been based at the same airfield for many years, and to celebrate the occasion all three aeroplanes were mustered on 17 June to headline the second Classic Evening Airshow. 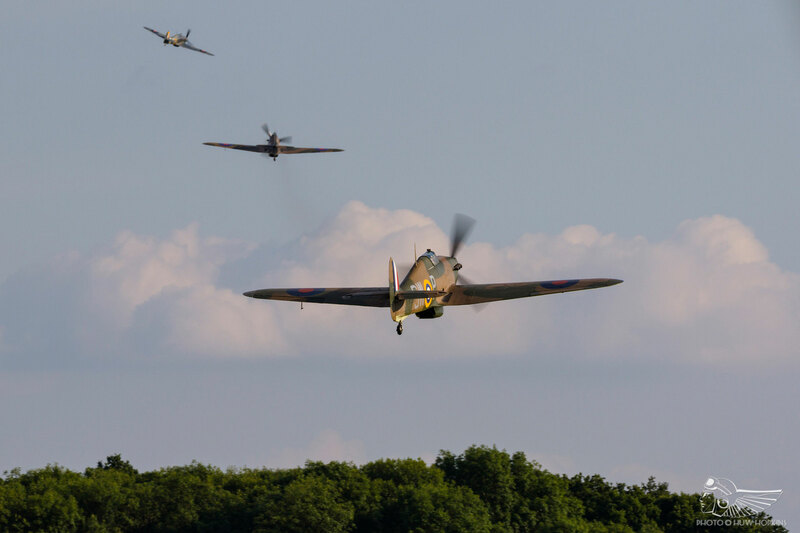 The trio got airborne shortly after 7pm, with Shuttleworth’s Sea Hurricane Mk.Ib leading in the hands of Chris Huckstep. 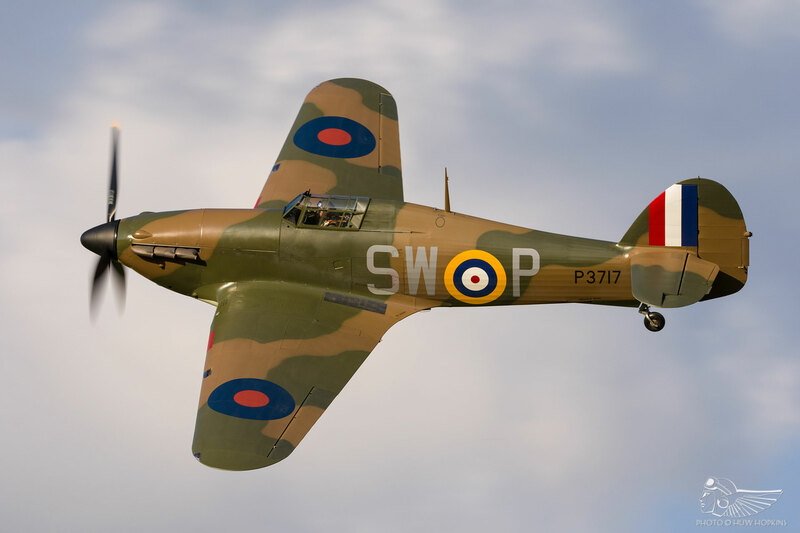 Visiting New Zealander Keith Skilling flew James Brown’s Hurricane Mk.I R4118, whilst Stuart Goldspink, the pilot who carried out P3717’s test regime, had the distinction of flying the new Hurricane in its first airshow appearance. 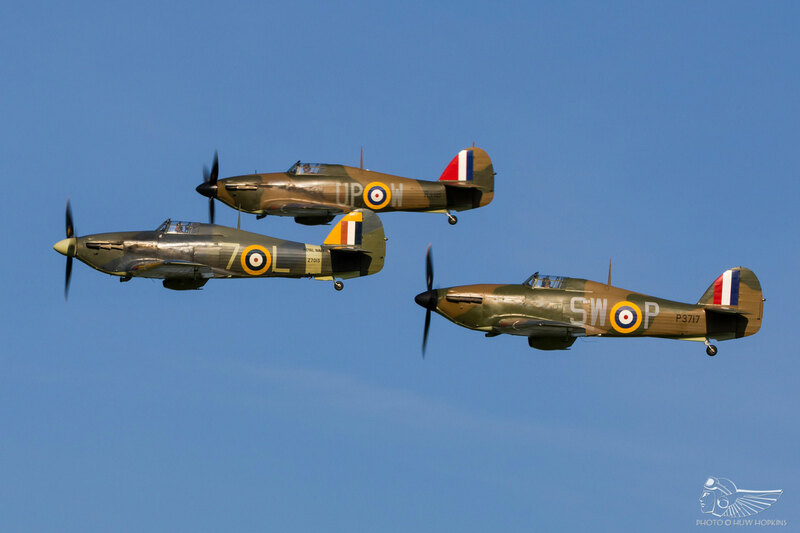 There was a real sense of spectacle and awe as the three-ship made their first formation flypast, and the two subsequent passes both satisfied and whet the appetite for more Hurricane trio displays in future – indeed, they are scheduled to fly together again at the Military Pageant on 2 July. Here, however, P3717 was rightly afforded star status, splitting from the main formation to carry out a genuinely sublime solo display. 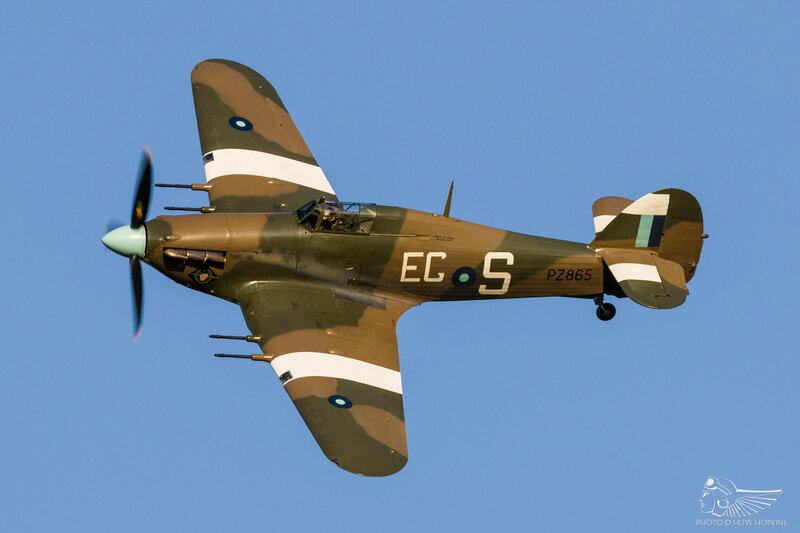 Lyrical high-level aerobatics smoothly led into a lengthy lower altitude routine of sweeping passes and rolls, giving the Hurricane a wonderful showing in the finest conditions you could hope for. 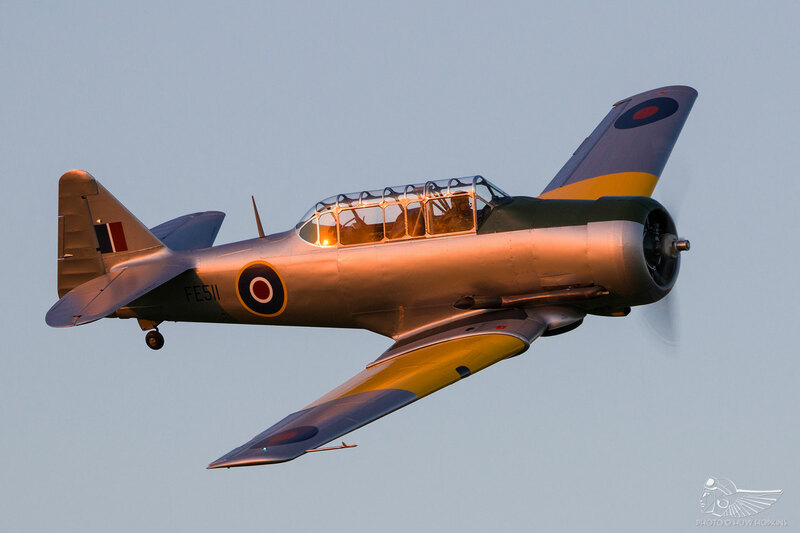 Another loosely related début came courtesy of James Brown’s Harvard (also operated by Hurricane Heritage), looking exquisite in its new Royal Air Force training scheme. 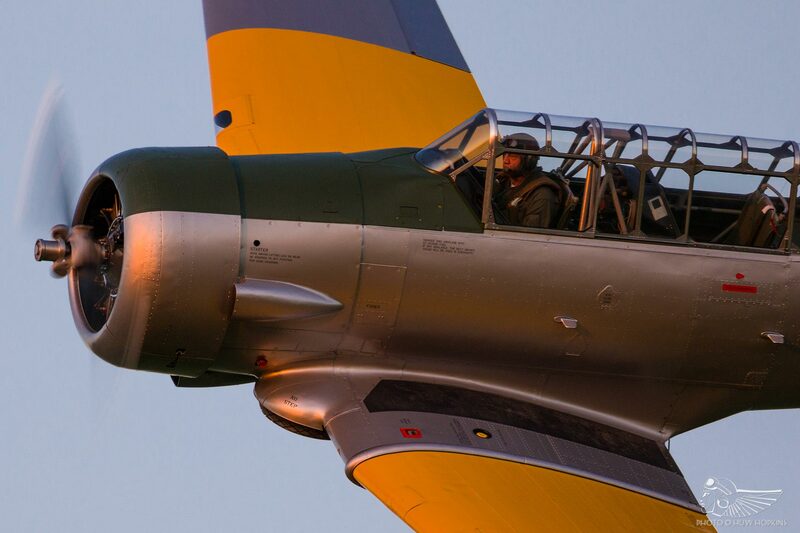 Once again, Stuart Goldspink had the honour of carrying out that first display and seeing the Harvard put through its paces in such fine fashion in the fading light after 9pm, its silver paint reflecting the sun’s dying embers, will live long in the memory. 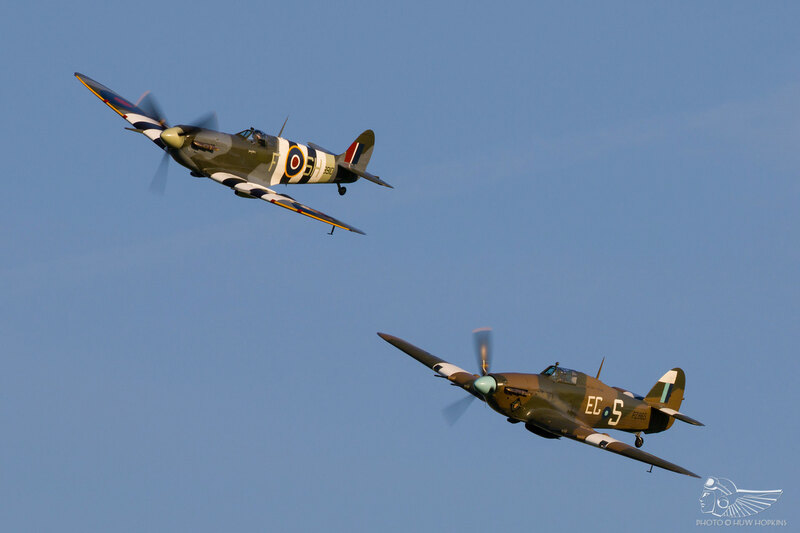 A fourth Hurricane made an appearance later in the flying programme, with the Battle of Britain Memorial Flight (BBMF)’s Mk.IIc PZ865 arriving in formation with Spitfire Mk.Vb AB910 for a number of flypasts. This was a classic case of ‘less is more’ and the three perfectly executed formation and spirited solo passes left a considerable impression. The Second World War contingent was rounded off by a storming solo by the Westland Lysander, looking at home in the fading evening sky. It’s easy to take some of the more regular Collection aircraft for granted. 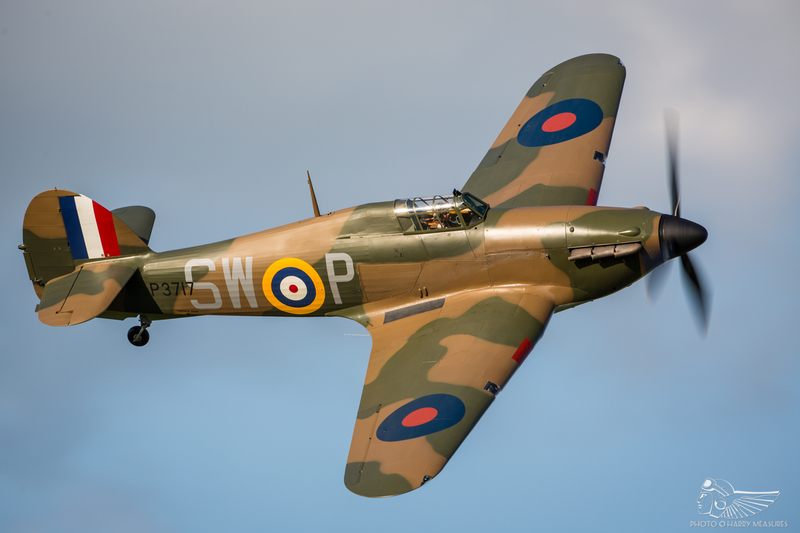 Many, like the unique Avro Tutor and Hawker Tomtit, appear at the vast majority of events and their immense historical value can easily be overlooked in favour of high-profile visiting acts. 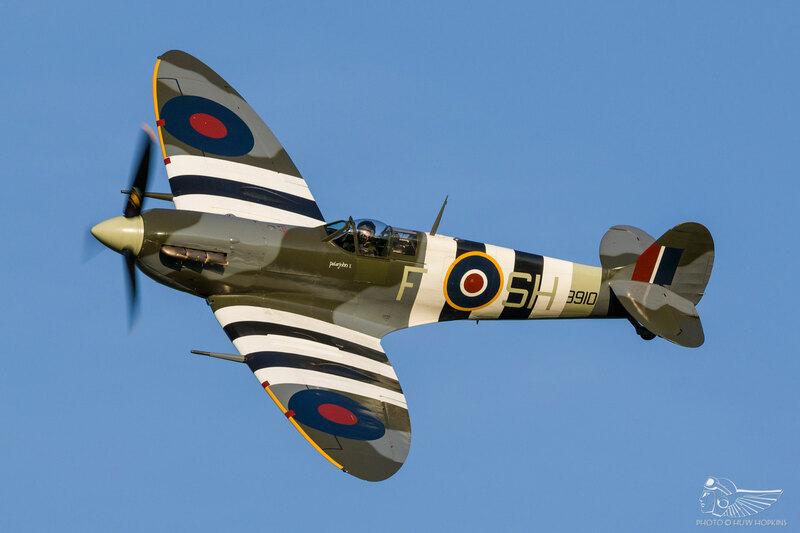 Not so at the Evening Airshows, where these stalwarts are really afforded the chance to shine. 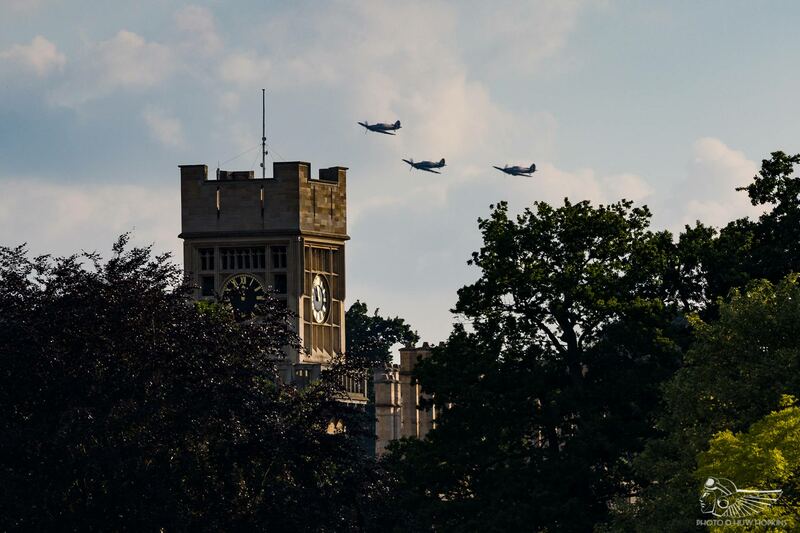 To that end, the aforementioned Tutor and Tomtit were both displayed exquisitely and memorably by Mark Sharp and Jim Schofield, whilst the traditional Old Warden barnstorming quartet offered a jovial, crowd-pleasing interlude. 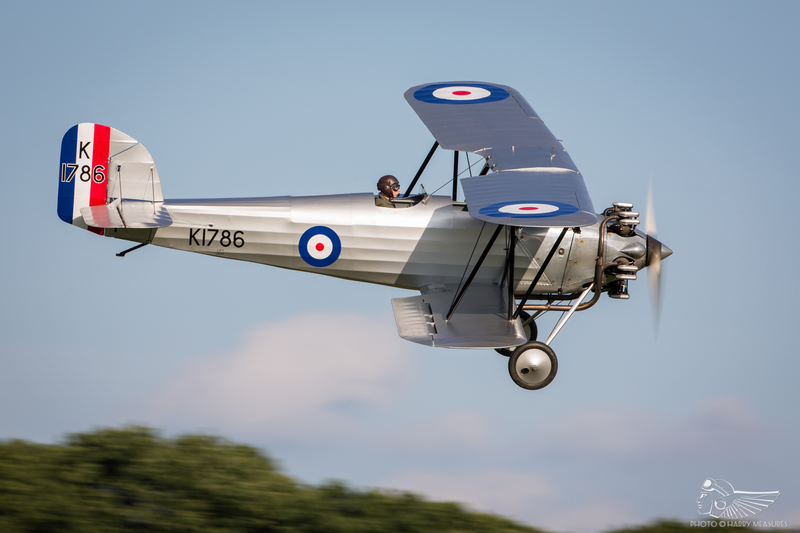 Beautiful conditions allowed some of the lesser-seen 1920s light aeroplanes to display, including the ungainly (but oddly charismatic) A.N.E.C. 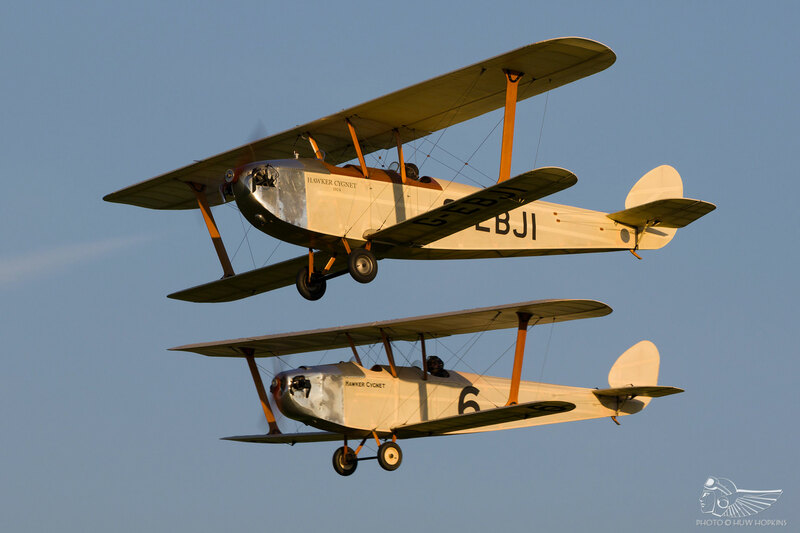 II and the pair of Hawker Cygnet biplane replicas, owned by The Shuttleworth Collection and Colin Essex and flown by Rob Millinship and Mark Sharp respectively. 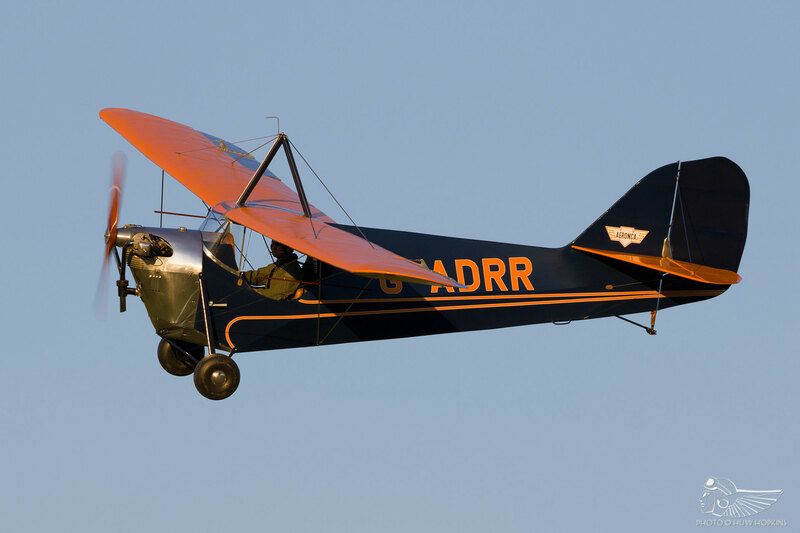 Adding to the variety and looking elegant in the golden sunlight was the SG 38 glider, towed aloft by the Piper Super Cub. So too were a pair of First World War fighters able to display, with the standout being Dodge Bailey’s terrific account of the Bristol M1C monoplane. A brief duo with the Bristol F2b led to a raucous solo with close, arcing passes aplenty as the air filled with the intoxicating scent of castor oil. 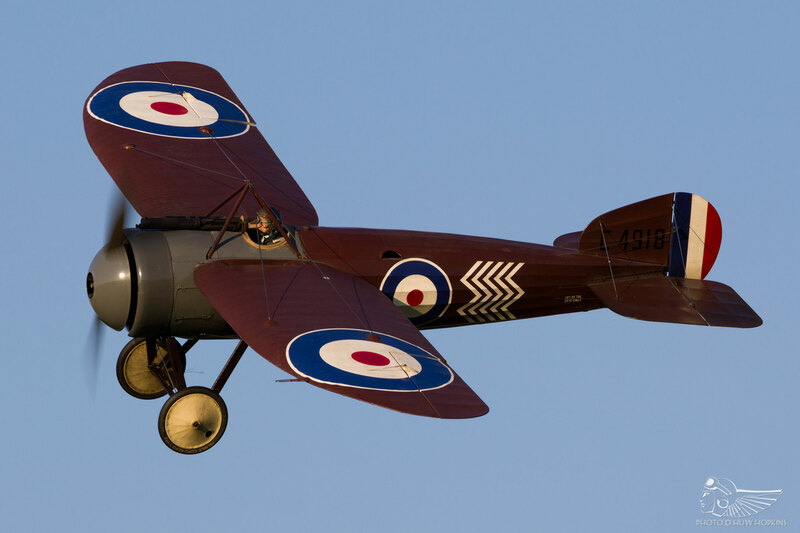 This was a display to savour from one of the more elusive Great War aircraft in the Collection. 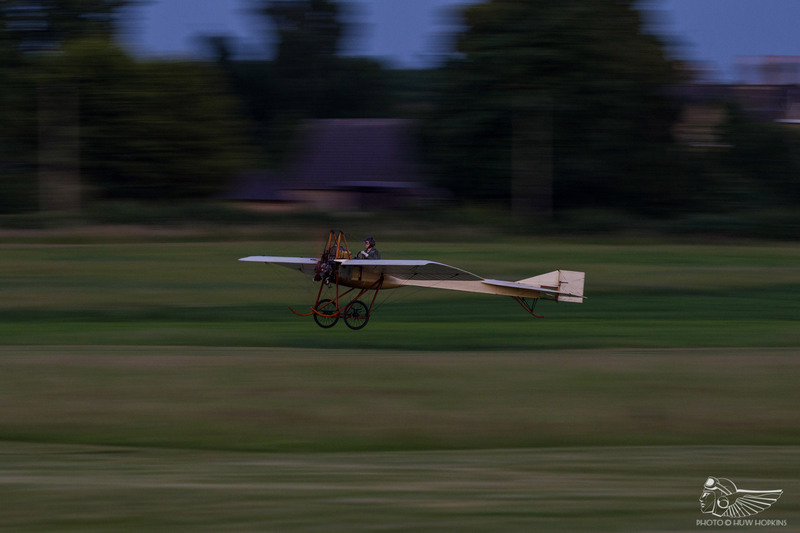 With the breeze abating as the evening went on, conditions were perfect for some of the Edwardian era aeroplanes to get airborne – an all too rare occurrence, and one to savour. 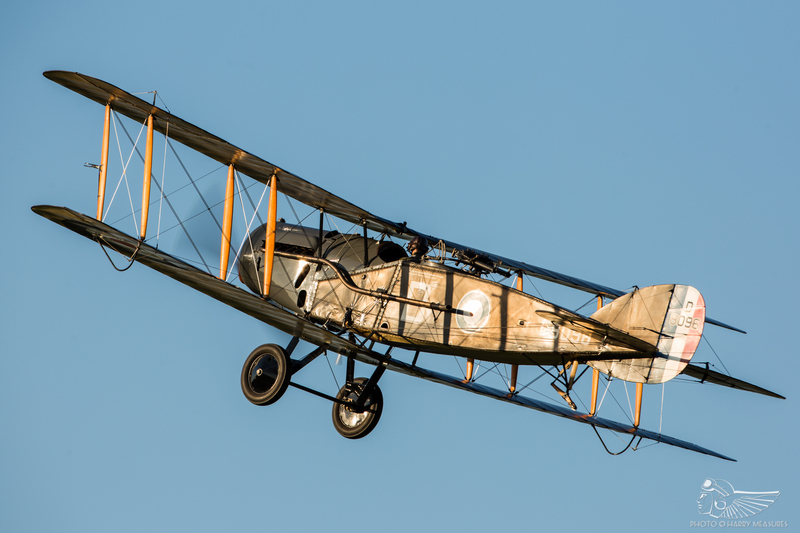 The honours on this occasion fell to the Boxkite, Avro Triplane and Deperdussin, the former pair flying together both solo and in loose formation before the Triplane landed to enable Chief Engineer Jean-Michel Munn to convert to the type. 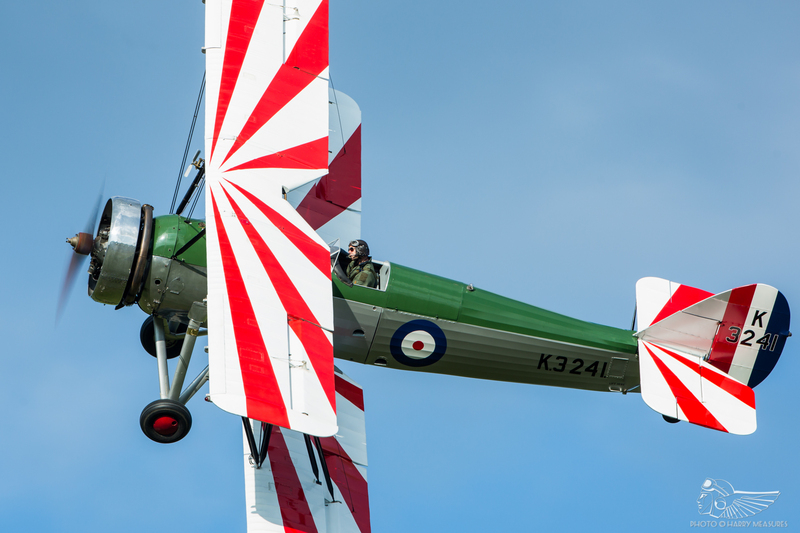 His first solo display was quite something, with low topside passes (quite an achievement in the Triplane!) 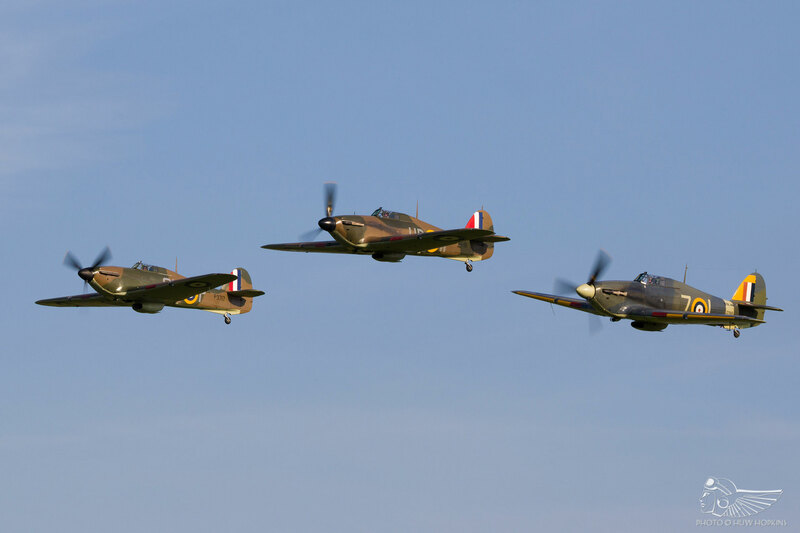 below the tree line offering yet another memorable moment in a flying programme not short of highlights. 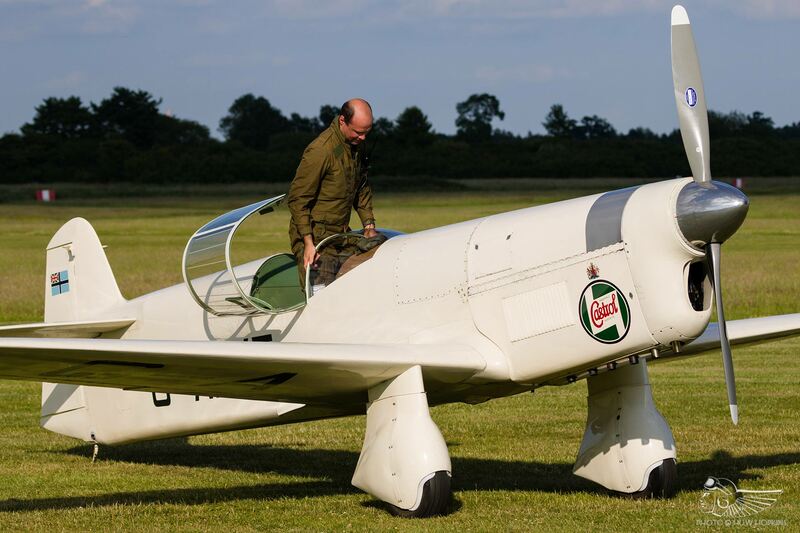 Four ‘hops’ from the Deperdussin concluded proceedings, with Paul Shakespeare very gently rocking the aircraft’s wings on each run, wrapping up the flying display at 9.52pm – a tremendous finish to what had been an exceptionally enjoyable airshow. 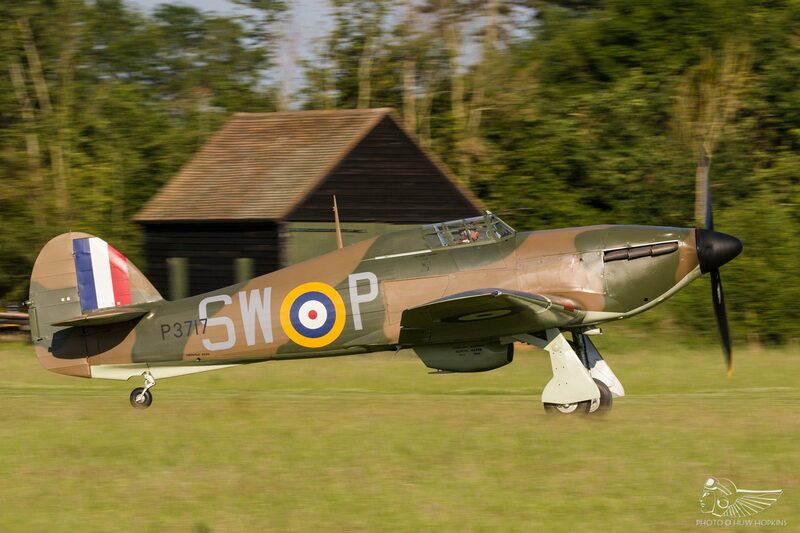 This was Old Warden at its absolute best. 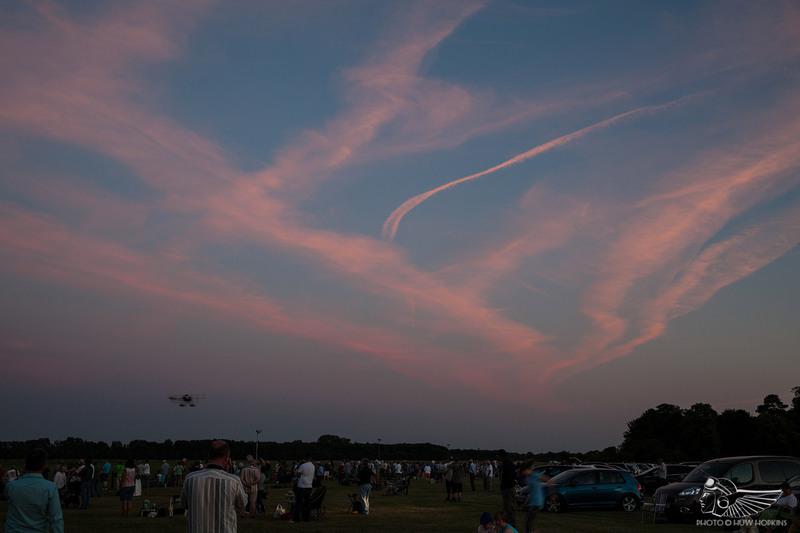 With minimal winds, flying participants were able to enjoy to the fullest the display line exemptions granted to the aerodrome, meaning that most aeroplanes could be seen going “round the bend” at close quarters as they had done before the Civil Aviation Authority’s 2016 restrictions were implemented. More so than any event since Old Warden’s exemption was granted in summer 2016, this felt like business as usual. 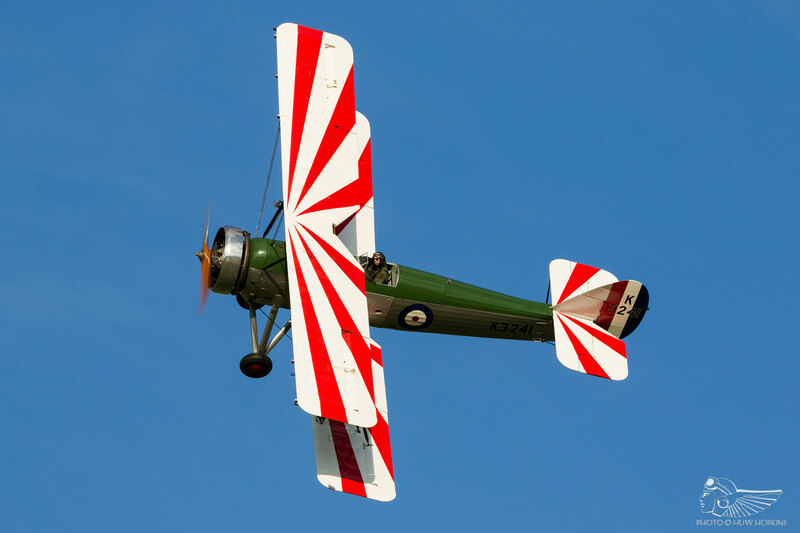 With air displays being pushed away from the crowd line at other venues, the close flying displays that have always been synonymous at Shuttleworth airshows have become even more special. Couple that with a genuinely warm and welcoming atmosphere and you have an unbeatable combination that delivers time and time again. 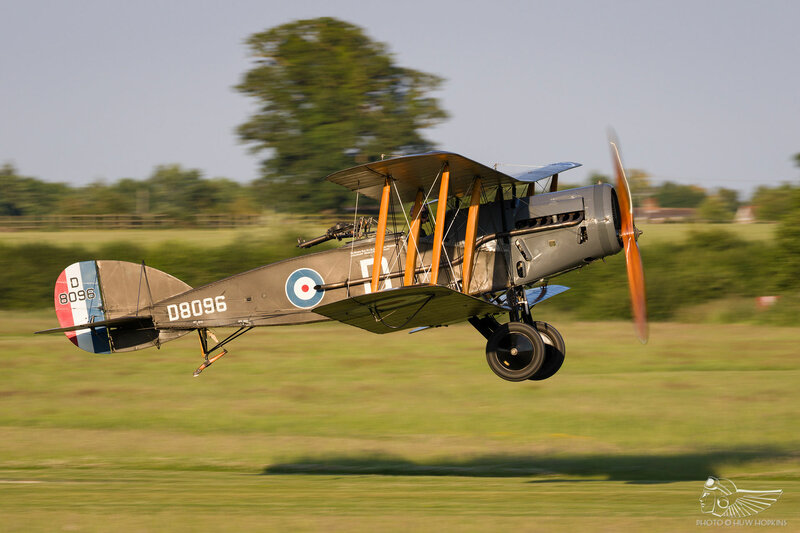 Old Warden is a real treasure, ostensibly untouched by the red tape and restrictions that have impacted so many other airshow venues. For as long as that continues, it shall remain the best airshow venue in the country by a considerable margin.